Pre-Christmas Sale! Only One Day Offer! Try yourself as a driver working on realistic construction site! 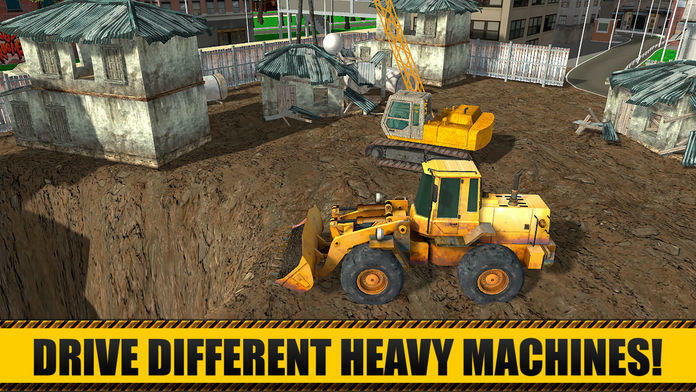 Operate heavy machines such as tower cranes, bulldozers and excavators, dig holes, mix concrete and build your own city! 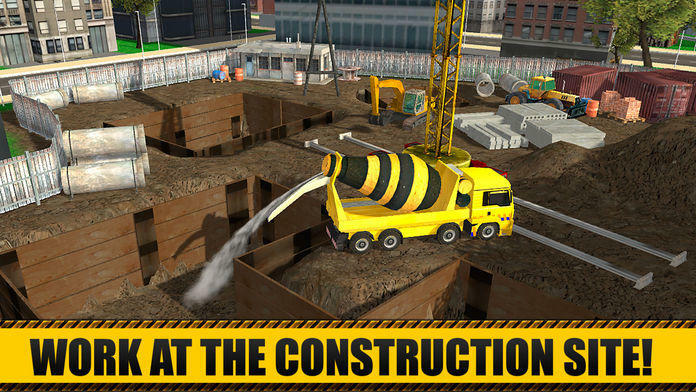 Feel like a professional builder on duty with this 3D construction simulator. 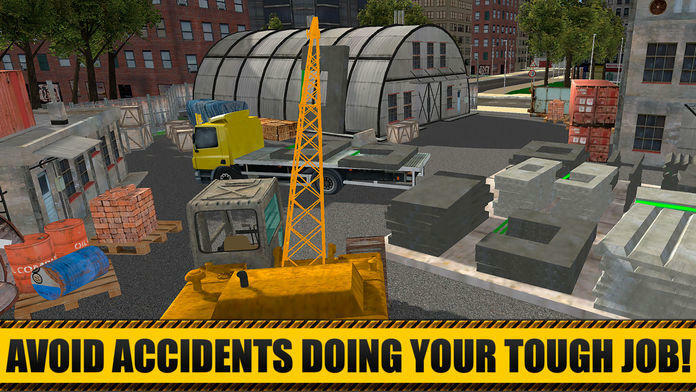 Complete various missions sitting behind the steering wheel of heavy construction vehicles –feel like a crane operator or drive a demolition machine crashing old houses! Choose from huge variety of heavy vehicles, drive excavator, crane, truck, bulldozer or demolition machine – it is up to you to decide! Go through all the stages of building a house with City Construction Builder 3D and gain ultimate driving, parking and building experience! Explore building area driving a construction truck loaded with bricks and other materials and start your own architectural project! Dig holes with and excavator, mix concrete to make the foundation and operate tower crane to move heavy blocks. Feel like a real architect building a new city from scratch using different heavy construction vehicles. Don’t be afraid of this tough work – there is a system of tips to help you – operate tower crane to move concrete blocks, drive a truck to transport materials and load it with the help of special forklifts, use excavator to dig holes and bulldozers to rake up the garbage! Being a construction worker is easier as it seems! Get help of brigadier and start new mission! 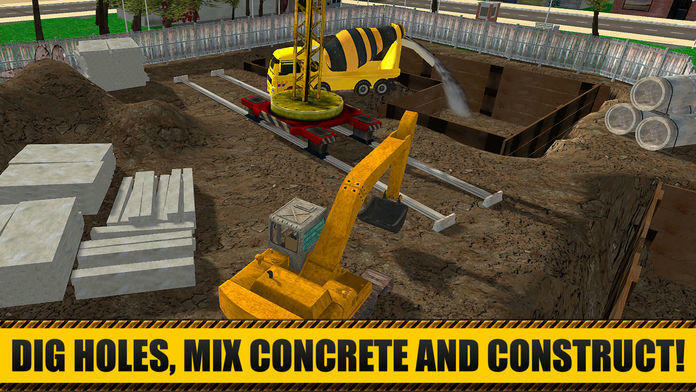 Check City Construction Simulator 3D– great construction simulator for those who is not afraid of tough driving, parking, construction and loading tasks! City building has never been so exciting! Have you tried to drive a demolition machine crashing everything on your way? Drive, build, park, load and transport with this construction simulator in 3D! Choose the machine you like and upgrade your skills being a driver! Operating a tower crane or digging holes with an excavator, loading construction trucks with a forklift or delivering materials sitting behind the steering wheel of a truck? Or maybe your dream is to be a bulldozer driver moving away construction garbage? These and even more in City Construction Simulator 3D –the game that will give you ultimate building and construction experience! Feel like a real architect with City Construction Simulator 3D! Dig holes, move blocks, mix concrete and build your own city! Maneuver cranes, trucks and excavators to gain ultimate experience of house building! Complete missions and enjoy nice view of your own modern city with this 3D construction simulator!